Video Games | Random Things! I just finished playing the new Layton’s Mystery Journey completely, and boy, I did not see that ending coming. Be warned, this contains spoilers, I simply want to discuss what I observed and enjoyed about the game. Unlike the previous 6 Layton games, there is not an over-arching mystery that you work towards solving the entire game. You get to solve 12 cases, which I liked, becuase it introduced the main characters and made me invested in the final case, or the case the “Millionaire’s Conspiracy” part of the title refers to. I played the entire game wondering when they were going to address the game title, and they only did at the end, which wasn’t the best in my opinion. At the start of the game, Kat addresses a letter to a ‘Lucy,’ and I was under the impression I had somehow typed my name in completely wrong. I had no clue who this Lucy was. For those of you unfamiliar with the spin-offs of Layton, there is a app game called “Layton Brothers,” a title I don’t understand because there is a man named Alfenndi Layton but no brother. Returning to the completion of Kat’s conundrums, you unlock one final Coda where Kat mentions Lucy and her brother Alfendi, which made me realize that the Lucy at the beginning was the one from Layton Brothers. It also explains why Kat was in Scotland Yard when Ernest had been arrested, she was visiting Alfendi and Lucy who work there. I think we can expec to see a return of characters fromLayton Brothers in the next game. As the credits finish rolling, you are treated to a final animated short where Katrielle reveals that she is not Layton’s daughter. Shocking? Not really, she looks nothing like him or Alfendi, if anything their facial characteristic are on opposite ends of a triangular specturm. I was more shocked by the Ernest/Miles revelation, which was short-lived considering that it was not the ending of a big mystery like any other Layton game, but rather just a case thrown in at the end that with a character who was never even referenced, which would have at least built up the mystery over the course of the game. Anyway, Katrielle’s big revelation comes in the line where she reveals she has solved the riddle the missing Hershel Layton sent her, “If you are not my child, then who are you?” Sadly we won’t get to see Kat’s revelation to her true identity or experience it along with her. Since we know that she knows the answer already, it will just be a waiting game until she reveals it herself. I’m thinking, maaybe she’s Descole’s child, but who knows, could be Luke’s. Amongst the unsolved mysteries in the games, we have Sherl, a dog with amnesia that can talk. Not interesting at all. Zero progress is made on his case. More frankly, it has been forgotten, a fact the developers make clear that they now, with a cheeky little Coda after you finish the game. So who is Sherl? Since it’s probably a trilogy and we’ve already figured out Ernest’s story, I assume that we’ll cover Kat’s story next, then missing Layton and Sherl (maybe Sherl then Katrielle). Either way, the game takes place over the course of just a month, so I wonder how much into the future the next game will be. The puzzles weren’t as good. I realize there was a change in puzzle maker because Akira Tago died (may he rest in piece), but that wasn’t playing at the back of my mind while I played the game. The puzzles did improve towards the end, but at the beginning there were at least five puzzles that I counted which were trick questions where the answer was “zero.” And with around 180 total puzzles excluding daily puzzles, much less than other Layton games, it left me mildly hungry for more substance in game that is supposed to be a puzzle game. I loved every character. Kat had the kind of personality that would generally push my buttons, but I quite took a liking to her, though she seems a bit emotionless, like her only goal in life is to solve puzzles. Her smile when Ernest and the Seven Dragons had a little chat was more a self satisfied “I told you” and “I knew it,” than a “good for you Ernest.” I may be overthinking it, but considering the nutcase her “brother” was, I’m sure Kat has at least a few emotional scars. Convenient. I have no theories as to what he’s doing, but I don’t know why game creators do this to characters so they can continue a game. I’m speaking specifically of Phoenix Wright : Ace Attorney. Ruin his career, plop him with a child that’s not his own, make Maya dissapear, no fulfilling romantic life for Phoenix, but, at least he’s happy. I’m just waiting for them to tell Apollo and Trucy that their siblings. I have forgotten the stupid logic they used to justify keeping it a secret in the first place. However, unlike Layton, we at least know that Phoenix is a good dad. In all honesty, I loved the game. Let me know what you thought about it or anything you noticed. I’m super hooked to Layton’s world. The puzzle’s are pretty awesome considering they force you to collaborate with people around the world (or at least wait until someone posts something useful on twitter). I was so excited when I was 4th in the world to solve the recent puzzle, but I forgot to screenshot it and I wasn’t logged in, but hey, 6th ain’t so bad (on top of being temporarily first in the rankings). The game hasn’t quite caught up. Don’t worry, I cropped out the answer (and things like my country), but the puzzle was super clever. Something that confuses me though is that the number 1 has 248 picarats, but the maximum from the first three puzzles is 230. Then again I got 77 points for solving this puzzle instead of 70, maybe there’s a bonus for being in the top some number to solve it. I absolutely hated this movie, earning it it’s spot of dead last. Why did I hate this movie? Simply because of the annoying rich spoilt brat. She kidnapped Ash’s mom, acted like a prissy priss, beat up the team’s Pokémon, and all for what? Of course I sympathize with the fact that she lost her mom and suddenly lost her dad but that is no excuse for the way she behaved and the fact that she was never reprimanded and is pretty much unapologetic. Delia should have gotten mad at her, that girl almost killed her son. It’s just one of those movies where I get mad because I don’t think the person got what they deserved (and she deserved a spanking!) I really wanted to slap half the characters in this movie and I don’t think I can ever watch it again so it’s at no. 18. Now choosing a movie became more difficult because other than The Spell of the Unknown, I’ve never particularly hated a Pokémon movie. I usually rank them in tiers from love to hate, so I had to get super critical when assigning numbers. Most of them within a five number radius would probably belong to the same tier. I’d also like to point out that though I’ve watched all these movies, some more than others, it’s the ones that I’ve watched long ago that stick out more clearly in my mind. While I’m writing this, I’m trying to remember what the plot of the movie even was. First off, there wasn’t much of a plot or conflict for that matter, Keldeo gets blasted off and just returns to where he came from. Secondly, I felt bad for Kyurem. 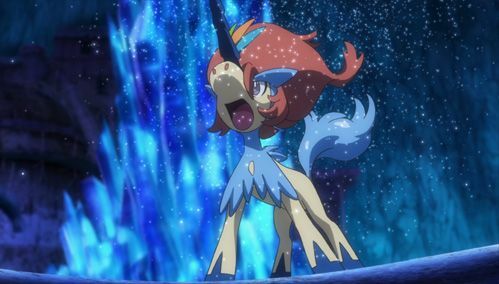 They didn’t even attempt to make him a bad guy, he was just a guy Keldeo wanted to fight to join the deer looking things’ trio and make it a quartet. There was no substance to the story and it was all basically filler. Ash and co. didn’t even need to be in this movie. In the end I was really hoping Keldeo would lose (though of course he didn’t). If anything, Keldeo was picking a fight with someone who didn’t want to fight him, and then angered him and then got his friends and later Ash and co. in loads of trouble. It isn’t even stated why Keldeo had to fight Kyurem (what did Kyurem even do? ), making the whole movie make no sense and have no goal and no sense of fulfillment in the end; earning it this spot in comparison the the rest from it’s tier. I don’t even remember half of what happens in this movie. How did Ash and co. even find Diancie? Where was Diancie going? Why was that crystal breaking (a little Lucario-ish anyone?) The plot was filled with completely undeveloped random people with no background and seemed to be an amalgamation of different plot points in different Pokémon movies (executed unsuccessfully). Another movie that I found particularly lacking plot-wise. It seemed to follow the first movie’s motivations and if that wasn’t obvious enough, they went and threw in a Mewtwo. There is no particular villain or added secondary characters, and the movie lacks any sense of grandeur (excluding all the wrecked buildings). One of the director’s child must have been having a temper tantrum when they made this because that’s what Hoopa comes across as: a whiny child. I’m starting to sense the trend that I don’t particularly care for the later movies, and I don’t. Hoopa and the Clash of Ages promised a lot but failed to deliver, except to prove that Ash beyond a doubt has some strange form of amnesia. The movie did not build upon Hoopa’s conflicting identities and sense of self and his struggle to belong. Throwing a bunch of legendaries into a battle does not mean that the movie will be good. It’s a failed opportunity if anything. Alley-alley oopa ring or whatever gets annoying if it’s said more than once, and god, Hoopa did not stop saying it. Before. the movies would not only develop character, but also backgrounds, motivations, and the setting of the city, however nowadays they’ve seemed to drop that. Hoopa and the Clash of Ages does tick a few boxes but once again comes across as a copy of another movie (the electricity supply trick in the Darkrai movie and the 4 elements thing here…). It’s been 5 years since this movie came out? I feel old. This is the only movie in this tier that I did not dislike. Victini was such a cute sweetheart! One of the more likeable legendaries out of all in this tier. However, I could not place it in the next tier because those movies are much better than this one. I think it was a cool idea to have two different movies, but it really didn’t make much of a difference. The villain was kind of stupid, the beginning is like the Lucario movie, and what happens to Victini is like what happens to Jirachi, but overall, not a bad movie. Like the Victini it was a pretty good movie, but not as good as the others (maybe I’ll make a halfway tier). Overall, a nice and strong plot, tying the two previous movies together. A proper villain, proper motive, proper revenge, proper scapegoat, Ash-mankey action, cute Pokémon interplay, a properly constructed scenario, adding value to history of the world of Pokémon? TICK! But *eyebrows* and Arceus’s voice threw me off. Once again, a good movie, but not as good as the others. The only movie my brother and I did not have on DVD (or videotape) hence it was never re-watched and does not hold a dear place in my heart. Also in a movie dealing with the time, the Professor Oak thing is a bit silly (really weird more like – like how you can’t imagine your grandparent or even parents as actually having been a normal child like you), but good job on the strange Pokéballs. But these just bring up more questions… is there a Pokeball monopoly company mafia? You’d think they would have introduced the genius creator of the modern Pokeball. Not sure, but was Shaymin the first Legendary (other than Mewtwo who was a super-charged Psychic type) to have telepathic capabilities? Then it just became stupid every time Ash was amazed by a talking Pokémon (especially considering Meowth). 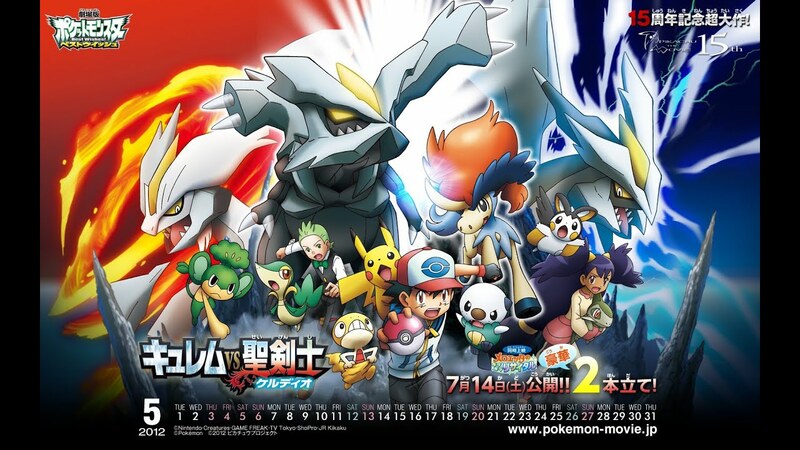 Anyway, The Rise of Darkrai was a tough act to follow, but I really loved the almost throwback feel to the 2nd and 4th movies. But favourite part of the movie was definitely that lady’s grandma’s(?) 100th(?) birthday. Cool stuff. I feel that it’s easier to talk about stuff I don’t like and harder to explain stuff I like… hehe. The title always confused me… it made it sound like a sequel. He already struck back at the start of the movie, the title is too confusing. His strikes seem misguided. This is where it gets hard to choose. Yes, I know I have a lot on my amazing list, but I love these movies too much to call them good. Basically all of them can be mixed around, so I’m not deciding rankings for the sake of the list, I can’t, but they are general favourites. This movie holds a special place in my heart because it was the first movie that I owned and didn’t have to share with my brother. It was also a transitioning period from VHS tapes to DVD that I don’t remember very well. I don’t even remember how I got this movie. I know people view the blue-haired kid as kind of useless, but the story just made sense to me, and the wide cast of supporting characters were some of the best (wide casts not individuals) from all movies. Destiny Deoxys takes you from the beautiful aurora filled sky (where Rayquaza acts like a cat for some reason) to the technologically filled city of something where people are screwed when the power goes out. But that being said, that little green light should shine in all of us. It seemed like one of the more real movies and showed us that even in the Pokémon world, not everyone has to like Pokémon (though they did a switcheroo in the end). Find the strength inside, and watch your dreams come true! the magic’s right there in your heart! Close your eyes, believe, and make wish! After a flashback sequence where are introduced to Sir Aaron, Ash and gang end up in Cameran Palace where Pikachu and Meowth get Mew-napped. It’s like Pokémon movies go out of their way to make you cry. After the “Tree of Life” (I think it’s called) starts decaying because of Kidd in a fashion very similar to the human body, the gang must find a way to prevent the Tree from dying. The movie gets a bit farfetch’d with Ash randomly harnessing an aura that is never to be seen again (as if Ash’s parentage was shrouded in enough mystery, they decided to throw in an extra detail), but overall the movie maintains a great flow of story and nothing seems pointless. The narratological technique employed to deepen the impact of Lucario’s realization was imo pretty flawless. But once again… Pokémon wars? These movies create more questions than they answer. ALSO, they show us Butler and Diane (I had to google these names, I can’t remember everything) and Sir Aaron and Lucario eating chocolate :'(. I really don’t know what to say, and I don’t want to summarize the plot. All I can say is… watch the movie. The video doesn’t match for copyright reasons, but listen to that glorious music. This does not make it into the next list simply because Darkrai doesn’t die. It marks the point at which Pokémon movies (save Giratina and the Sky warrior) began their downward trend. Of course there are some movies that are just too amazing to be simply amazing. One of the more visually appealing movies. I watched the behind the scenes where the crew travelled to… I can’t remember where, but it served as the inspiration for the gorgeous seascapes scattered in this movie. 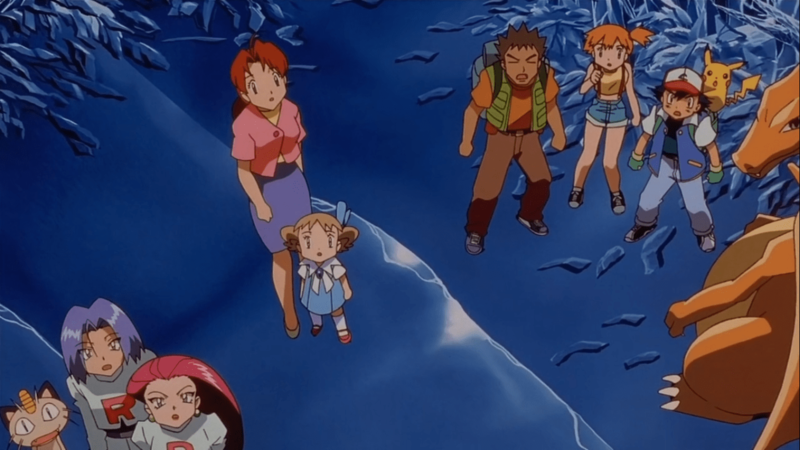 The Marina Group seemed liked actual people who have lives of their own (before and during the movie) and the introduction of the People of the Water and Samiya only adds the Pokémon’s unquestionably dense lore. I’m not sure if this movie gave me the final push to play the Pokémon Ranger games, or if I already played Shadows of Almia before this. But either way, I love the Pokémon Ranger franchise, especially Shadows of Almia. The opening sequence was so cool I hope they introduce the International Police (with Looker) in future movies. And the crew made a point of making sure that even the supporting characters had some development. I loved when Jack Walker told Ash & gang that they couldn’t come any further (one of the only responsible adults ever) but had to take them along anyway. OOH! I need to do a review on all Pokémon Ranger games. Time to play Shadows of Almia again ❤ There are so many historical moments of different past kingdoms and tribes in the movies that there should be a movie on that (of all of them ever mentioned). Why was he in these mountains though? The development and tension in the movie was brilliant, and I even tried holding my breath as long as Ash tried to replace the jewels in the Crown (there is no way he held his breath for that long). I know I haven’t mentioned anything about the plot or May or Manaphy, but, this movie was brilliant, and that’s all I wanna say. Melody: Is he your boyfriend? Melody: Well he’s a boy, isn’t he your friend? All the little kids: OOoooooooH! This movie has some of the best lines in the franchise, the best music, the best story, the best Team Rocket moments. It is too beautiful for words. Just listen to Lugia’s song, do it. This movie tackled moderns problems (*koff koff* drastic weather change) even before it was a “thing.” If only all the animals of the world could march to the source of the problem (*hack hack* humans), and stop them (*weeze* stop them). Let us hope it doesn’t come to that, because then, the world will really turn to ash. If simply thinking about a movie nearly 15 years after you first watched it makes you cry… it was and is an amazing movie. I was just a kid when I watched this movie. It was the first thing that very truly introduced me to the concept of death and I was able to understand the gravity of it’s finality. There are no what-ifs that could have led to a happier ending. The creators fool you, and when everything seems all right, it gets screwed up so bad, you just feel angry and sad. The only thing I didn’t understand was where the other Latios came from. But being a younger sister and seeing (spoiler) Latios die while protecting Latias (spoiler), I cannot imagine losing my brother. I cannot put how truly human this movie is into words (I feel like I said this before), but people are selfish, and they hurt others out of their own selfishness. 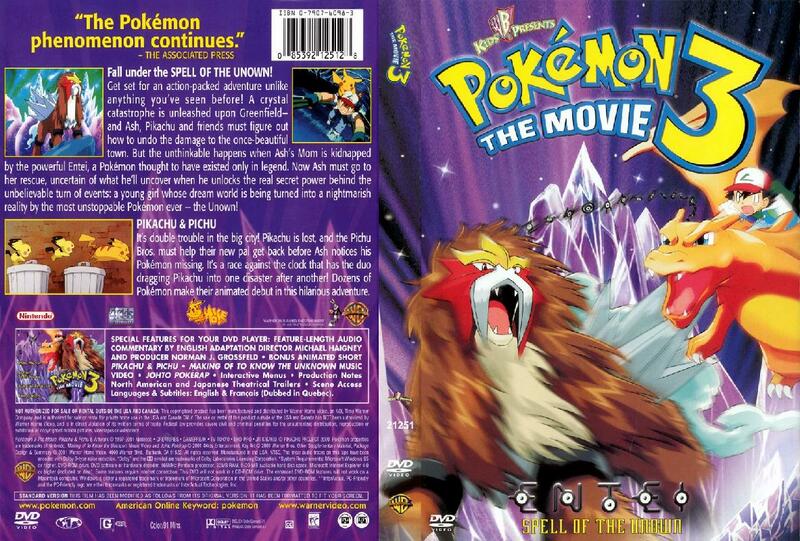 Thus ends my list, with my favorite Pokémon movie of all time. Apparently Lillie is UB-01, due to an uncanny resemblance. “UB-01’s body is composed of a glass-like substance. However, it’s constantly changing shapes, never settling on one. Though Pokémon has allowed shape-shifting abilities before, I’d like to think they’re not one and the same. The “same age as your character,””working as Kukui’s assistant for personal reasons,” “but she loves reading and has devoured many books,” makes her sound very un-Pokémon like. If she is related to Lusamine and Gladion, then my guess is the Aether Foundation isn’t studying Ultra Beasts, but creating them. It makes sense considering the code name UB-01, like an experiment (alchemical?) And the similarity between Lillie and UB-01 might simply be because it was based of her, or she was the basis of its existence, then the next Ultra Beasts will bear similarities to Gladion and Yusamine. A bit farfetch’d but maybe it’s just me not wanting her to be a Pokémon. UPDATE 2017: People still seem to be viewing this article. So corrections to my: Lusamine is their mother (even Hau was surprised by her age! ), and Faba is not a stated part of the family, and Wicke is definitely not in the family. Wicke – Like a wicker basket? Also the man-made looking island is the Aether Foundation, and sadly not the League. In the end, I am pretty sure, if not everything, the three are at least siblings. WHAT THE HELL IS THAT??????????????? Ridiculously large clownish noses aside, this new Pokémon update contained lots of information along with a new website. They revealed the 3 new Pokémon starter: Litten (Lit Kitten), Rowlet ([G]Row Owlet) and Popplio (…). Design-wise the real world inspirations are fairly clear. Litten is a kitten most likely going to become a tiger, Rowlet is an owl, and Popplio is a seal… clown. To be honest I was so excited when I was watching the new trailer, but this was just a major disappointment. The visuals and town looked amazing, I believe character customization is back because the trainer characters didn’t look anything special (either that or they just put in generic placeholders), there are cars, and the region is called Alola (really subtle Pokemon, really subtle). We are also shown are two new legendaries, but no English names have been revealed so far. Below you can see some artwork of the 3 new starters and hated them. 10 minutes later I had come to love them… except Popplio’s nose, I cannot get over that. I guess it’s an acquired taste. So far I’m team Litten, but depending on the evolutions, I may gravitate to Rowlet. I’ve never chosen a Grass starter before because I am a fire trainer for life, but I could not handle Chimchar making Piplup my only ever Water starter. And a story for another time: how Tepig and Oshawott worked together to make me lose a shiny Mincinno! Cute! It has a signature move called Leafage that I have never heard of before. I don’t know why it’s the only one to have gotten a new move. Also this is the first time the starters already know a move with type advantage, so won’t the rival battle be hard? I hope that guy with the green hair isn’t our rival… I also just realized I’ve only ever chosen the games whose names have come first. Bit of an odd discovery, but still 🙂 You can guess without knowing anything else I’ve already decided to buy Sun, and my brother wants Moon. We’re one of those lucky pairs who always wants the opposite games. Except for that one time he coerced me into getting Black 2 even though I liked Reshiram. Enough about me, bask in the power of the obnoxious clown, reminds me bit of Ash’s Oshawott. All images were sourced from The Official Pokémon Sun & Moon Website so be sure to check that out. The official date of release is November 18th worldwide (in listed countries), and since they’ve included a date, it’s not likely to change. Speaking a bit about the legendaries, I’m unsure what I feel about them. They’re like a night sky projector or those pixel games. The lion is obvious, but the Moon one is a bit odd. It’s definitely bat inspired and has a moon theme like Cresselia, but its body and face are…. odd. You can see everything (even possibly the Moon one’s signature move) in the video below. Just when I thought I was done, I saw this ad that came out 2 hours ago. It is so adorable!!! There are many things that you can see here that weren’t in the other video. With one extra skin colour + the girl has a very odd rabbity hat if you notice in the American announcement. Though much bigger than most, this is far from doubt, the new hometown. We can see its inspiration below. This makes me think that the towns (like Hawaii) will be a collection of islands. Maybe Mr. Briney and Peeko will make a return as your personal chauffeurs. HA! Several parts of the town can be seen more closely in the American announcement. Notice the taped boxes in the background. Notice the boxes. Similar to the way Shohei moves to Hawaii (with only his mom as far as we can see!) the character must have just moved to the Alola region like May and Brendan in the Hoenn. And here are the quotes in Japanese that inspired Shohei to run out and play with the others. I don”t know Japanese so I’ve used trusty old Google translate and my common sense. Me: Yeah… that seems right. This jerkface who reminds me too much of Hajime Kindaichi. If you watch the leftmost TV screen closely, you’ll notice the Sun one using it’s signature move. The Moon one’s is more explicit in the American announcement. In the background you can see another town or just a different part of you hometown along with Pokémon’s hopes and dreams. To not divulge too much information, let’s just say that I was born after the first Pokémon games were released in Japan, needless to say, Red and Blue were not my first games. 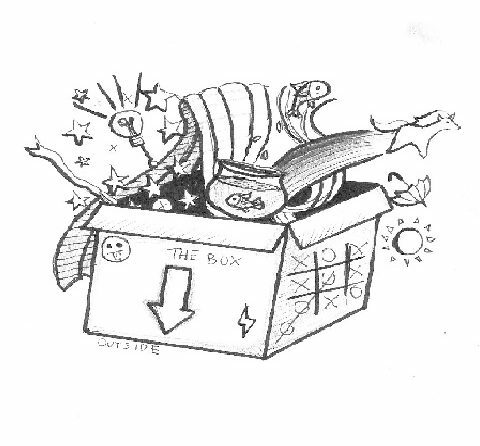 I played my first game when I was 3, to date I still secretly thank my brother for having introduced me to this fantastical world of amazingness and adventure and imagination and gosh… what not? (though I’d never admit this to his face). It was on the old GBA console that I played my first game. To think that now we have the giant 3DS XL, well maybe even the new 3ds XL, when only a little over a decade ago we were still playing on a console that had no back-light. Regardless of anything, even today, my loyalty and money lies with Nintendo. Yeah! Probably didn’t see that one coming, did you? It’s a super fun game. When I was supposed to be studying for my exams in December, whenever I needed a break, this was a huge stress buster. And I guess that’s it. Bye! Never liked this field as much.